Mod Face PES 2016, PES 2017, and Other Mod about PES 2016 and PES 2017. 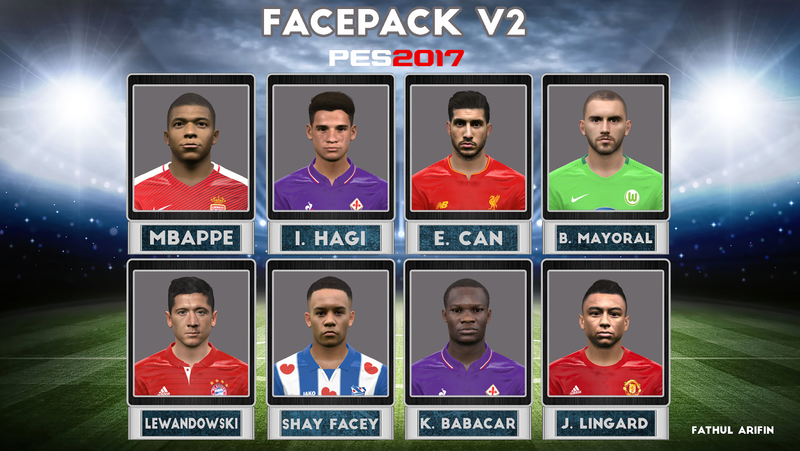 After releasing the first face (Pes Facepack v1 By Arifin), this time I will release Pes facepack v2 by Arifin. 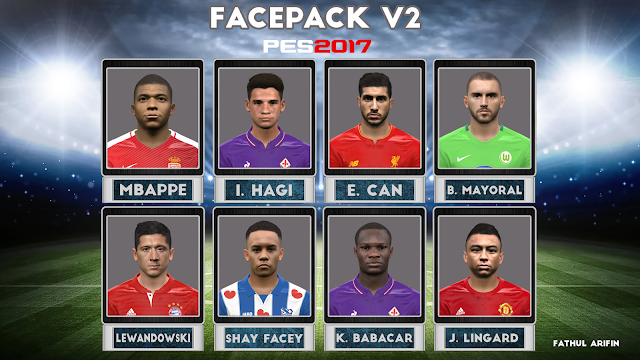 In this Facepack mode there are 8 Face Players, namely Mbappe, I Hagi, E Can, B. Mayoral, Lewandowski, Shay Facey, K. Babacar and J. Lingard.